The Rack of Silence has been designed with the objective of affording the optimal working environment for today's High-End Audio systems. Modern day high resolution audio equipment demands superior resonance control and vibration isolation, in order to reproduce the realism and musicality that is associated with a truly High-End experience. A combined team consisting of seasoned and experienced audiophiles, and engineering personell was involved in developing the Rack of Silence. Extensive and lengthy listening sessions where combined with thorough research into resonance control and mechanical isolation. This resulted in a rack that is virtually free from disturbing resonances and vibrations, that in turn produced increased fidelity, imparting of deeper and tighter bass, cleaner transient response, silkier highs, deeper and wider soundstage. Further improvements that should be mentioned are increased image focus and low level resolution, results, which a non-isolated design simply can not achieve. 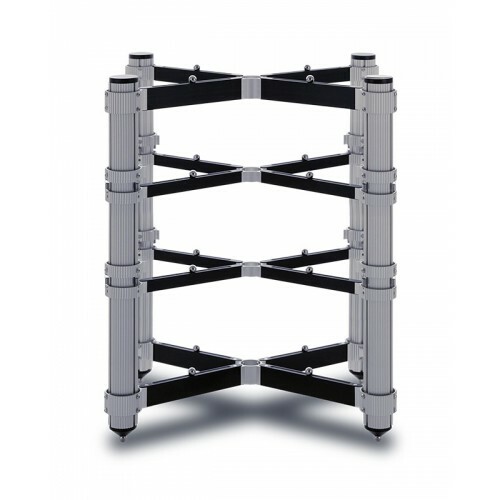 Based on our survey of customer requirements and demands, we have composed a range of racks. From the Regular 1 mono amplifier stand to the fully loaded Reference 4. Further more, our aim has been to get your system up and running in almost no time. We are therefore shipping all our rack's close to fully assembled. We hope that you, like many other Solid Tech owners around the globe will rediscover the music. Enjoy!